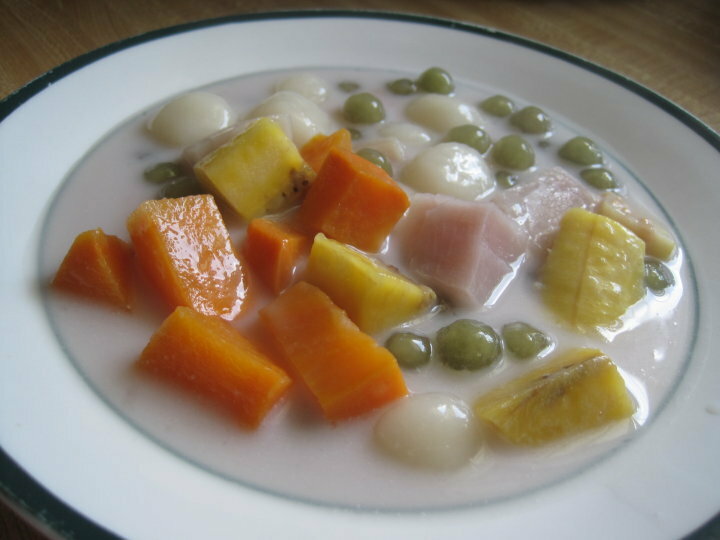 Whenever my family made this Filipino dessert, they just called it Guinataan and we all knew what was coming. When I published my original post on Guinataan on this blog years ago, I received several comments correcting my nomenclature and to an extent they were right. Ginataan is a general term to describe anything cooked in ‘gata’ or coconut milk. So since I am updating this recipe with a better photo, I thought I would also be more specific with the title also using my daughters’ name for it, Coconut Soup. 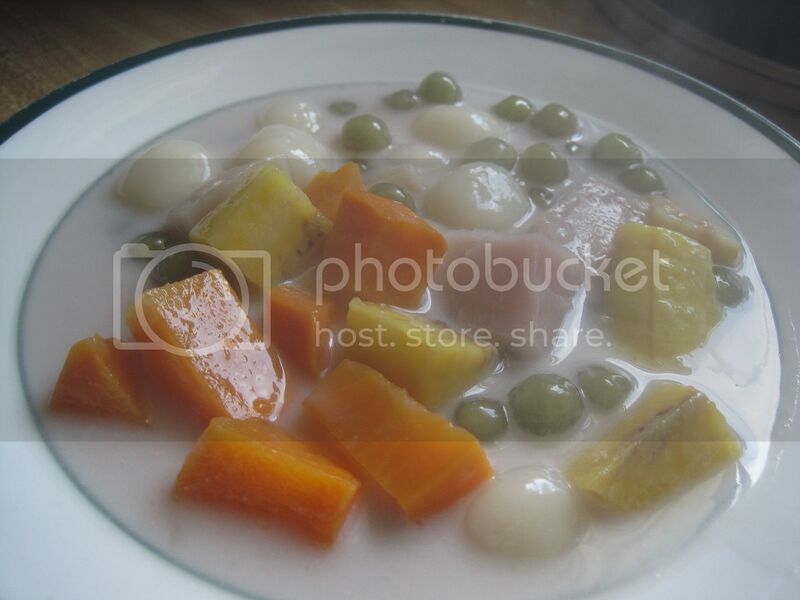 : A typical Filipino dessert cooked in coconut milk. To make the dough balls, moisten the rice flour with water just until it sticks together. Roll the dough into 1/4 inch balls. Boil 6 cups of water in a pot, and when it comes to a rolling boil, gently drop the dough balls, stirring occationaly so they don’t stick to the bottom of the pan or to each other. You can also add about 3/4 cup of the sugar and a dash of salt. When it comes up to a simmer, add the sweet potatoes and plantains (saba if you can find it) and cook until they are tender. Note: If you can afford extra richness, you may serve this topped with additional coconut cream. Yumm! The recipe above is as I first posted it. For this recent version, I added/changed a few of the ingredients. 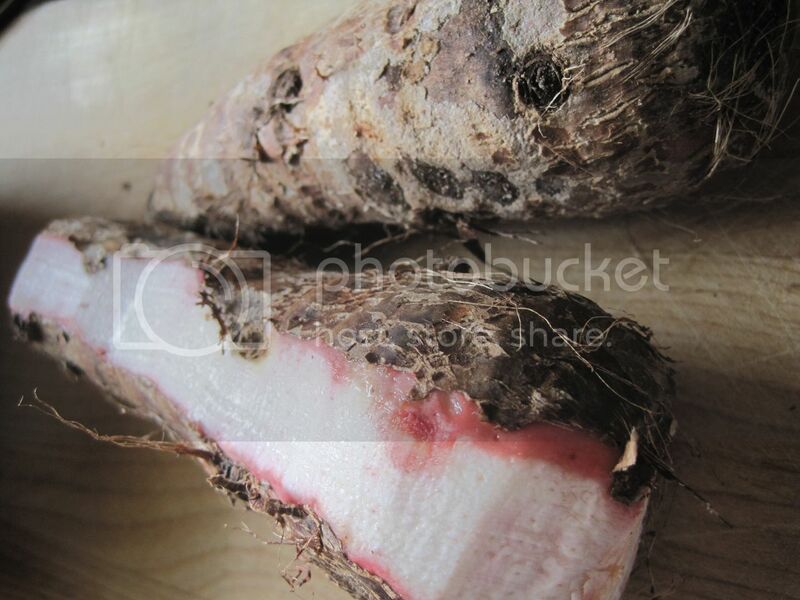 For one, I used a few taro roots. Those are the whitish chunks you see next to the sweet potatoes. 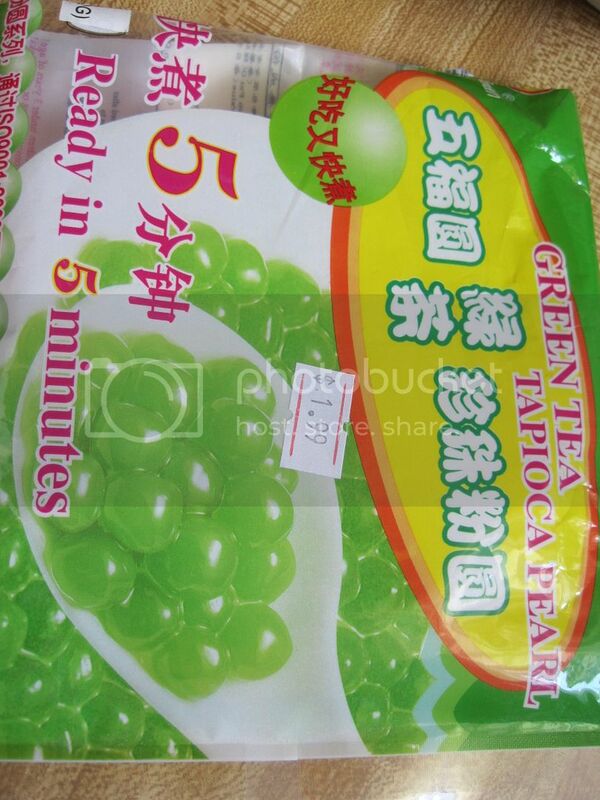 We also only had green tapioca pearls. I thought they added a nice color contrast to the dish, don’t you? 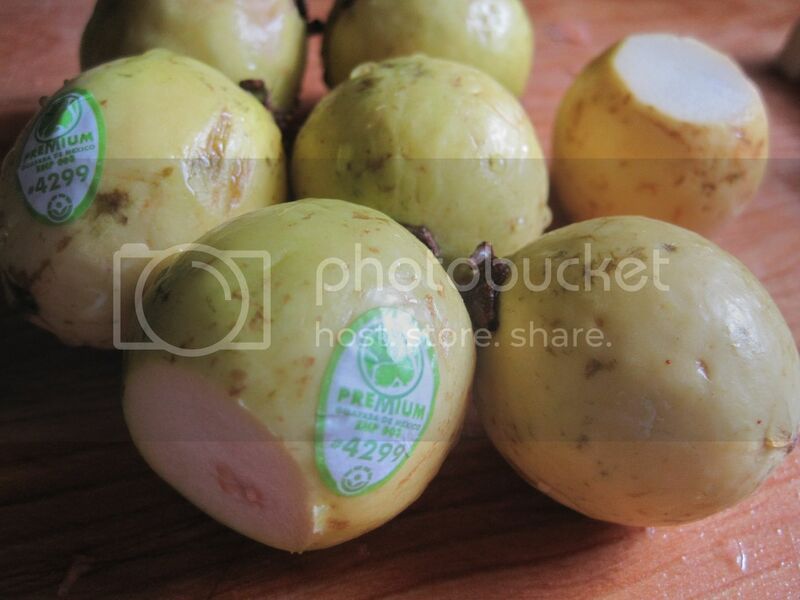 Another addition that is not too obvious in the photo is fresh guavas. I liked it, it reminded me of how my grandmother made it but the girls were not too crazy about the strong flavor of the guava. Feel free to experiment with the ingredients and see what works for you. 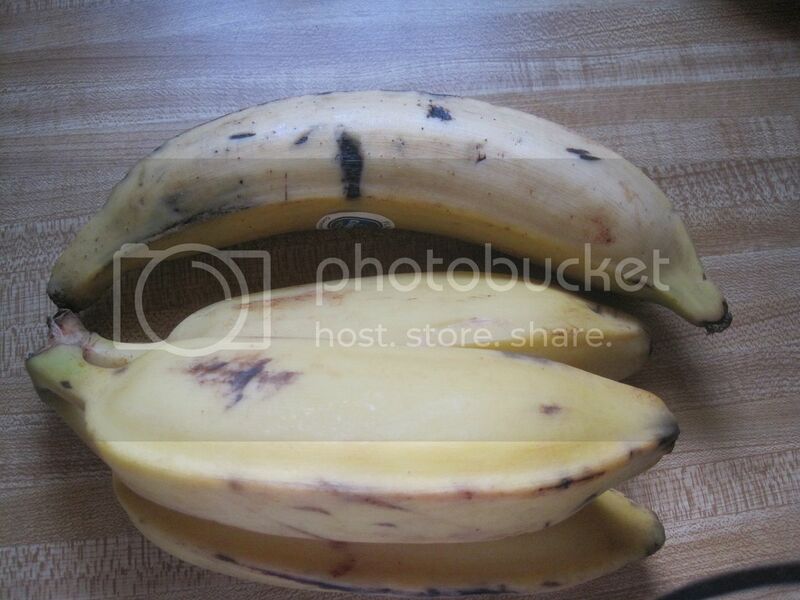 And if you’re wondering what type of bananas to use, you can use ripe plantains but if you can find these other variety of bananas in your ethnic grocery store, I think they taste much better. They have more flavor. Unfortunately, I can’t tell you what they are called exactly. i was wondering if u add the tapioca straight from the package to the whole mixture… or do u boil the tapiocas first, then drain them once they are squishy and finally add it to the mixture?